As the team works to finish subsystem reports and testing, the dates for the key events concluding the Lunchsat programme for this year have been finalised. Senior and line management have been invited to attend the events, which aim to gather the Lunchsat team, management and interested internal parties for a briefing on the progress made over the past twelve months. Another of the standard afternoon work sessions to conclude work in preparation for the upcoming reviews. Work shall begin on the presentations required for the reviews. Separate technical review sessions allowing Astrium experts to meet with their respective subsystem team members, for the review of documents and results attained over the year. The final afternoon session of the year, scheduled for preparation of the Systems Review. A videoconference between Portsmouth and Stevenage will allow the Lunchsat team to connect for a round-table review with Astrium systems experts. The experts will share their opinions and advice for the team following presentations from subsystem team members. The annual End-of-Year Management Review, concluding the Lunchsat graduate training programme in the Stevenage Viewing Gallery. In a slightly different approach to the session, project lead Nick Fishwick is set to deliver the presentation to management, summarising the benefits of the programme and the progress made over the past year and looking for inputs from team members to describe their experiences. Astrium senior management, including Chief Technical Officer Pat Wood, are set to attend. A team lunch will be organised to conclude the programme and celebrate the achievements of the team. The End-of-Year Management Review signals the conclusion of Lunchsat progress for 2009-10. Stay tuned as preparation begins for the upcoming 2010-11 session! 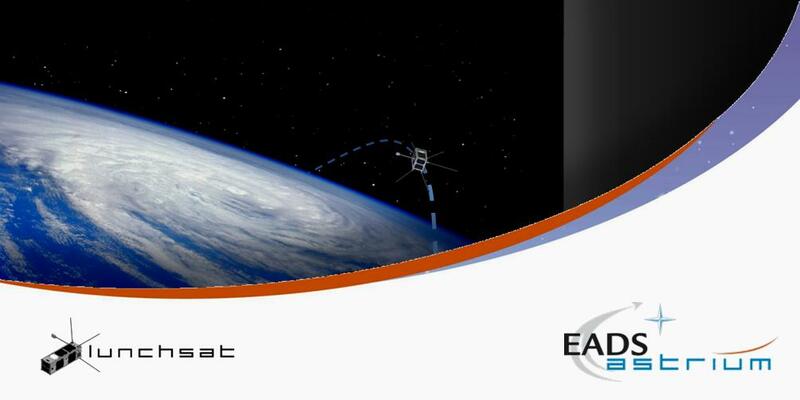 Please leave a comment about this article for the EADS Astrium Lunchsat team.